Everything is included ( food, lodging, ground transportation, classes, dancing, and a lot of fire !!!) so that attendees can come fully prepared to learn, laugh, explore the island, relax, and been part of the pirates family...AARRRGGGHHH!!!!!! - Transportation to and from Bali ( Ubud/Seminyac ). - Boat from Bali to the island (go & back). - Accommodation in comfortable bungalows. - 3 meals a day (breakfast, lunch, dinner). and professional spinning and circus arts workshops from internationally acclaimed teachers. Performances and fire jams at night( fire fuel included ), music and guest DJ's, Bonfire, theme night,etc. 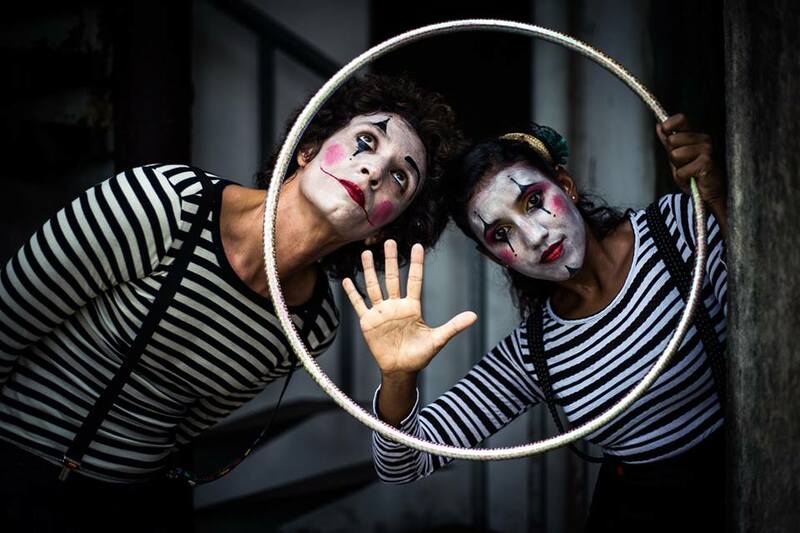 Workshops: An amazing array of disciplines including Aerial hoop, rope dart, juggling, water acrobatics, trapeze, dance wereoffered outside the regular program of Poi, multi Staffs, Contact staff/ ball, Hula hoop and Buugeng, yoga and circus acro and much more. We are very proud to announce that the Pirates Retreat 2018 gave us a lot of spontaneous workshops that added themselves to an already very powerful master class schedule, so this island really is a place for full creative expression. MORE teachers for the PIRATES RETREAT BALI 2019 will be announce soon. 2003 was a momentous year. Tatu reached number one with all the things she said, we found Nemo, and a fledgling G began spinning poi in the depths of the UK. After several years exploring the UK scene G met Nick Woolsey of Playpoi and began his world wide adventure. 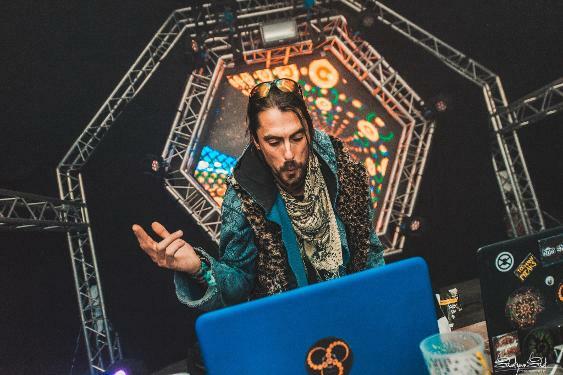 G taught under the Playpoi banner on several occasions and collaborated with the likes of Flowtoys, Flame Oz and Starlight Alchemy to name a few. Renowned for his grace, fluidity and precision, G has often been cited as an inspiration to many spin artists. Some say G can still be seen on summer night silhouetted against the neon lights of a fast food restaurant smashing food in his face... If you're lucky you might spot him too! Simon is an early days Pirate. He tripped on a staff in 2005 and has been trying to figure out everything you can do with it for over 12 years. A performer and also a teacher, he is passionate about this practice as well as the learning process, and has been trying to break down the ancient knowledge of the Dinosaurs and bring it to the new generations, connecting the old school and the new. In the meantime he also developed his own form and techniques, with one, two, or three staffs. He’ll be taking you from the fundamentals to the craziest things you can theoretically do with a stick. Whether or not you go to his workshops, you’ll probably hear him, representing the Pirate Brigade and the Fish Tail Task Force. From his mastery of doubles contact, single staff contact and doubles spinning, as well as a flair for acrobatics. Meast is really a joy to watch and doesn’t seem to have a single weak point in his spinning. He started to play with a lot of different other tools such as contact ball, club swinging and manipulation, balls and anything that could help him getting better and better in his staff skills. As a graphic designer, Meast pays a lot of attention to the object trajectory and the body movements involved to create the patterns. His first interest is focused on this “body/object” relation and its visual impact. “I am a self taught juggler and have now been juggling, teaching and performing for more than 10 years. I began to juggle with staff and then progressed to contact ball and club manipulation. Fabio was born in France. He began playing with diabolo when he was 15 years old. 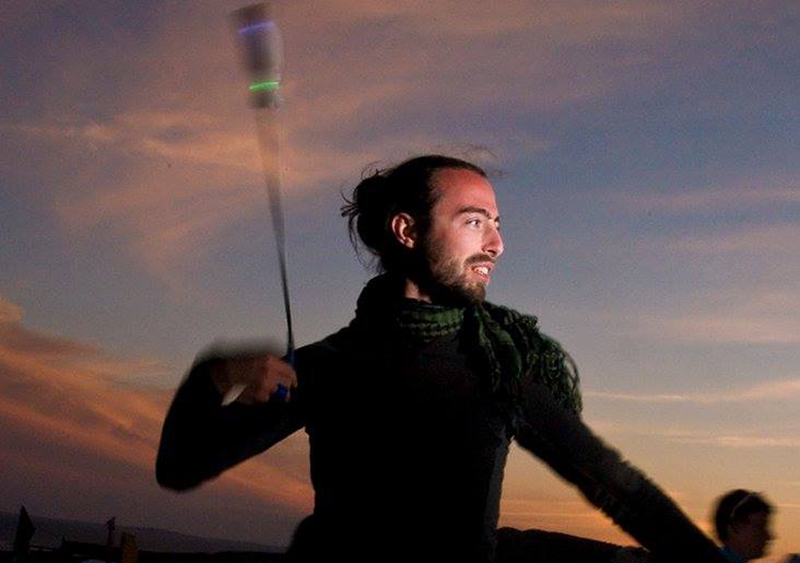 In 2002, he moved and settled in Tahiti where he started ﬁre spinning with poi. 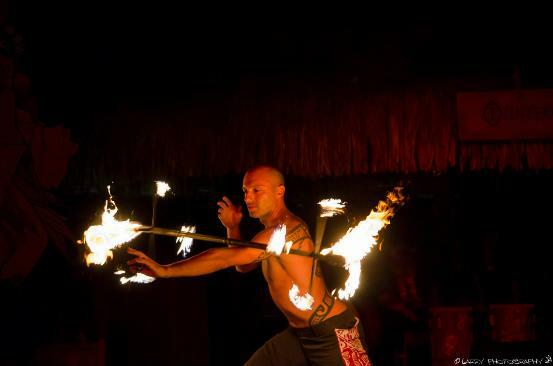 The traditional Polynesian ﬁre dance has been a great inﬂuence for him. Fabio got his ﬁrst dragon staff in 2013 and became highly addicted with this prop. In 2014, he became part of the Tahitian group « Te Tama Ahi » with whom he performed regularly in hotels, festivals and cultural events. In 2016 he left the paciﬁc islands and moved back in Europe. 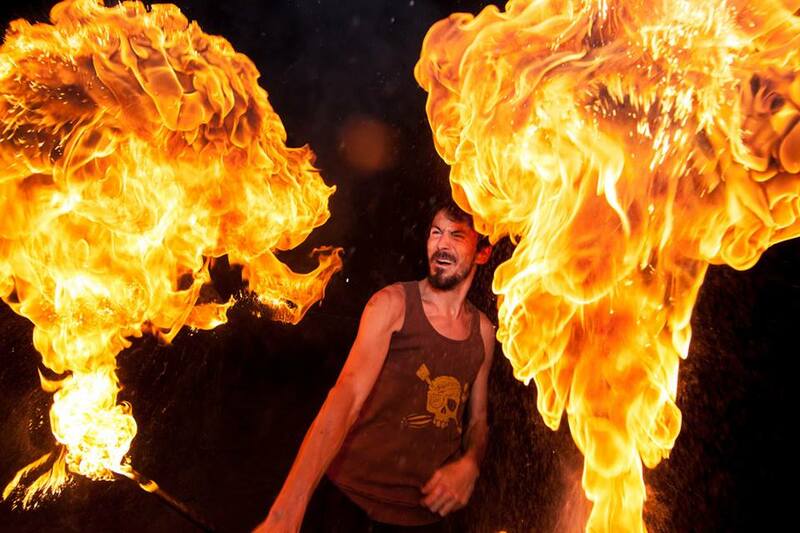 Since he has been featured as a dragon staff instructor at juggling conventions, ﬂow festivals and retreats where his workshops were highly appreciated. Fabio is one the world dragon staff tech researchers and has been recognized as the creator of some fresh and original dragon staff moves. He also created an innovative new dragon head design called « Flowbonnacci ». A recent poll placed Fabio in the top ten most inspirational dragon staff spinners in the world. He is definitely a recognized face in the dragon staff scene. We are Shaheen and Shouniez, husband and wife, 2 playful Pixies from Cape Town South Africa. In September 2013 we sold all our belongings, packed our bags to answer our souls calling for adventure and new possibilities. Since then, we have been traveling the globe learning, playing and sharing our passion for flow arts, movement and circus through performing and teaching. Nothing makes us happier than to share and pass on our passion and to let people know that magic still exists. 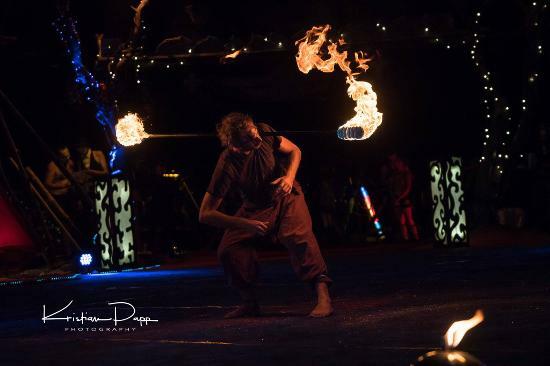 Beginning his journey into the art of spinning 18 years ago, Jay specializes in and further developed advanced techniques of CONTACT Fire Stick and ISOLATION with Fire Poi (or Fire Chain). 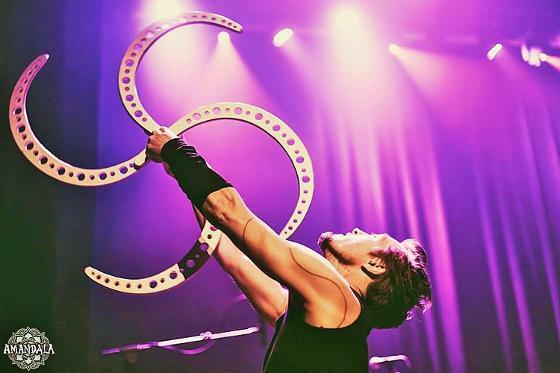 He has established a reputation in the International Juggling industry as a professional performance artist and skilled teacher for beginners to advanced master classes. A Teacher for over 15 years in many fire disciplines as contact staff, poi, double staff, Jay has specialized for the past 7 years in Buugeng. Focusing on manipulation (S curve staffs), Buugeng quickly became Jay’s main prop and focus, an amazing compromise after many years of Fire spinning and crystal ball manipulation. Marge is a Yoga and Acroyoga certified teacher, Thai/Balinese massage therapist and Reiki practitioner. She likes to explore the limits between verbal and non-verbal communication and is in constant observation of and interaction with movement and shapes, dancing rhythms and energy exchanges. Sutekh a.k.a. Graham Geo-Matrix is a multi-talented artist coming from England. He got involved in the music scene at a very early stage of his life and used to mix for underground parties in the UK, the place where electronic music reached its peak. After his first encounter with trance scene, Sutekh started to mix psychedelic grooves, shaping his style with deep twisted sounds and powerful basslines. With his impeccable track selection and sophisticated mixing skills, Sutekh has a natural ability to read the crowd and adapt. His sets are full power, a bit funky, a bit dark, definitely deep and psychedelic, made for people who love to dance.